Hi pinups! I can't believe we're already over half way through the year, it feels like last week I was planning my varied 2018 Make Nine projects. I thought it was about time I did a 6 month review, to have a look back at what I've made so far and how those projects went, along with what I have left and if I even want to make them at all any more! I put everything together in a vlog for you to check out, along with the links to all the sewing pattern reviews I've done for my makes. 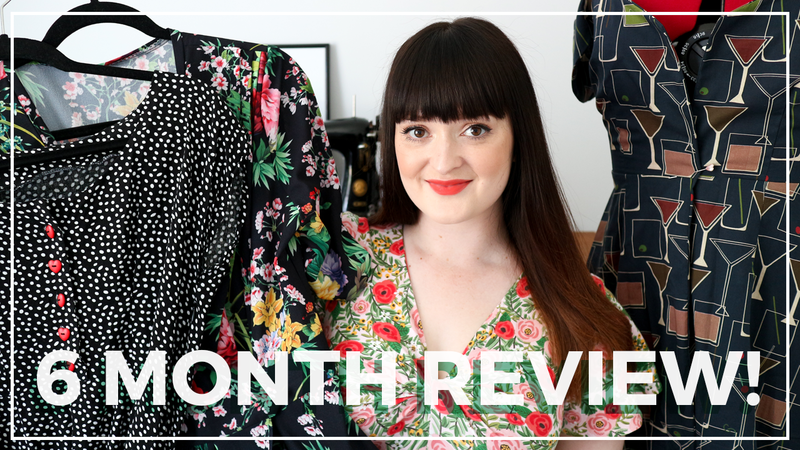 It wasn't until I went to film this video I realised how much I've actually already completed for my 2018 Make Nine challenge, but I did use my Minerva Craft Blogger Network makes as an excuse to keep me on track with them. For my original 2018 Make Nine plans blog post and vlog, click HERE. If you're taking part in this year's challenge, how's yours going? Have you cancelled some of your plans like me, or perhaps you've already completed all nine makes? I must say I'm feeling far more accomplished than I did in 2017!